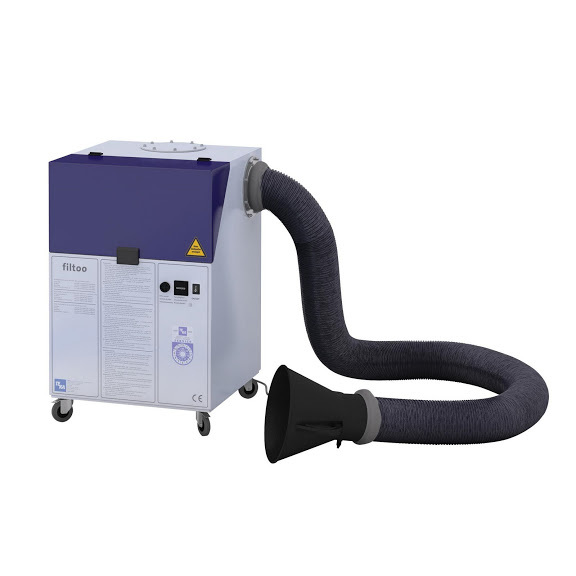 The Filtoo is a mobile filter unit that can be used for many applications requiring the filtration of fumes, dust, and even gases. 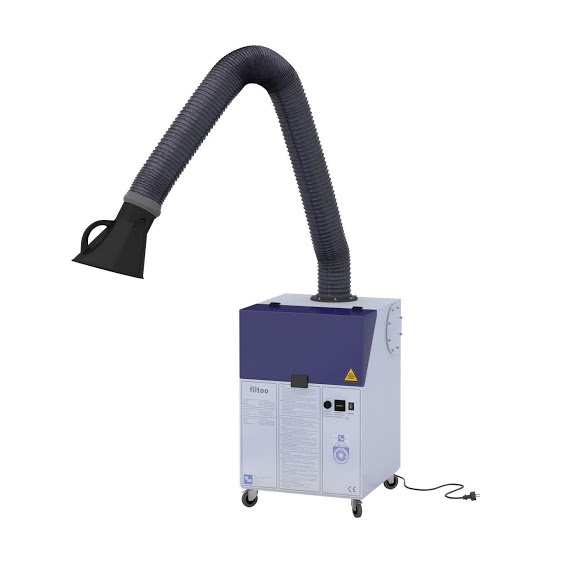 The polluted air is extracted and directed into the filter unit by either a self-supporting suction arm, downdraft table or suction hose. The offending dust, fumes and/or particulate are removed from the airstream through several stages of filtration and the clean air is then returned to the work space. The Filtoo is a plug and play system that is ready for operation. It is only necessary to connect the intake elements before commissioning the unit. 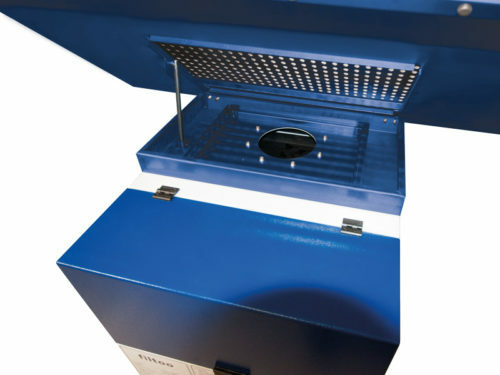 The Filtoo features robust and solid construction. The housing is constructed of heavy gauge steel and powder coated inside and out for durability. 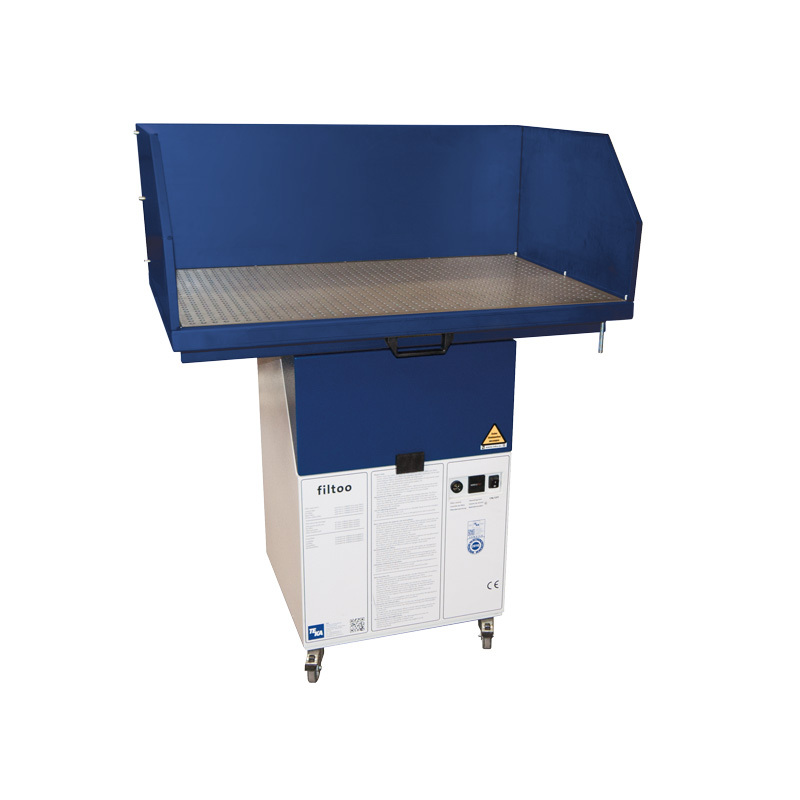 The filter elements are accessible via a maintenance access door. 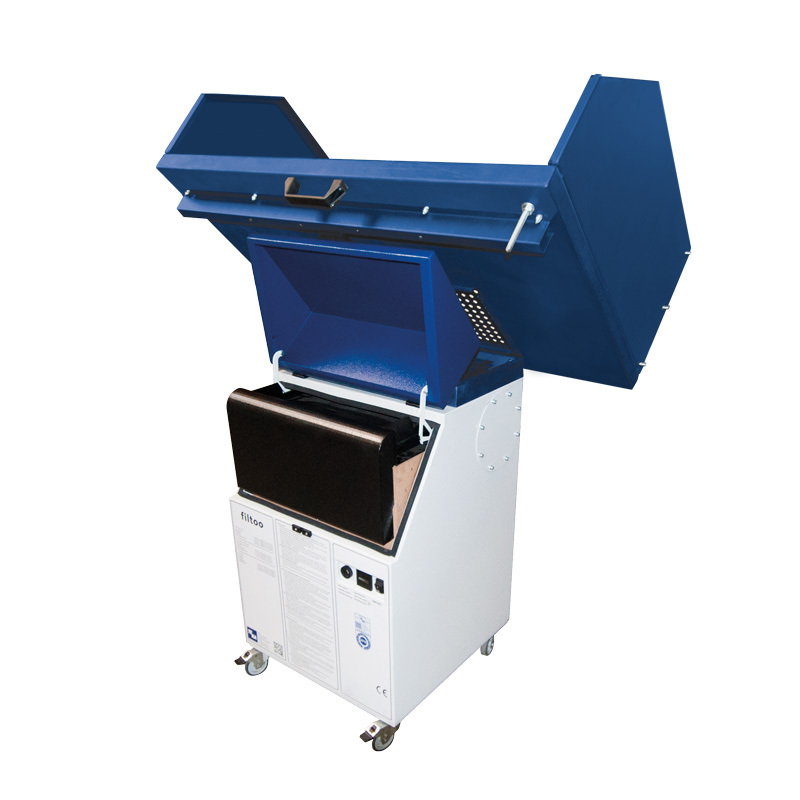 The unit is equipped with multi stage filtration to cover wide range of dusts, fumes and particulate.